We grow from seed. Kakai pumpkins our one of our faves. 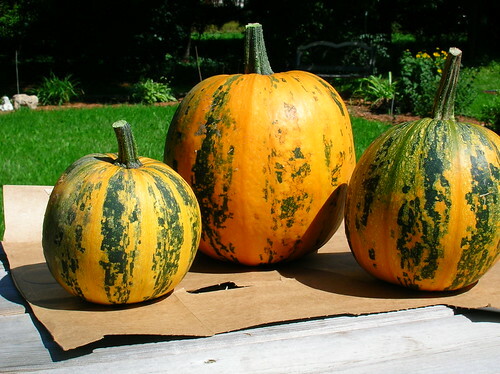 They have a nice size, we love the stripes, the rind is hard but easy to carve. They have the best roasting seeds, since they are hulless. This planting has been archived (Removed).